Bradley Kunda started playing the guitar at the age of six. Born and raised in Adelaide, he studied flamenco guitar for four years before furthering his classical studies with Hungarian-born guitarist András Tüské. In 2005, Bradley won the coveted National Undergraduate Scholarship at the Australian National University, where he completed a bachelor degree in music with first class honours under the notable Australian guitarist Tim Kain, while also studying for a bachelor degree in law. Bradley is currently a PhD candidate in guitar performance at the Australian National University. He is also preparing to complete specialist studies in early-19th century guitar performance practice at the Accademia l’Ottocento (Italy), studying under Carlo Barone. Bradley has won first prize in the Fifth International Competition “Festival de Córdoba” (Spain), and the audience prize in the Nikšić International Guitar Competition (Montenegro), determined by voters on live satellite television. He was awarded the 2007 Erika Haas Award for the most outstanding instrumental performance student at the Australian National University. He is currently the recipient of an Australian Professional Award. 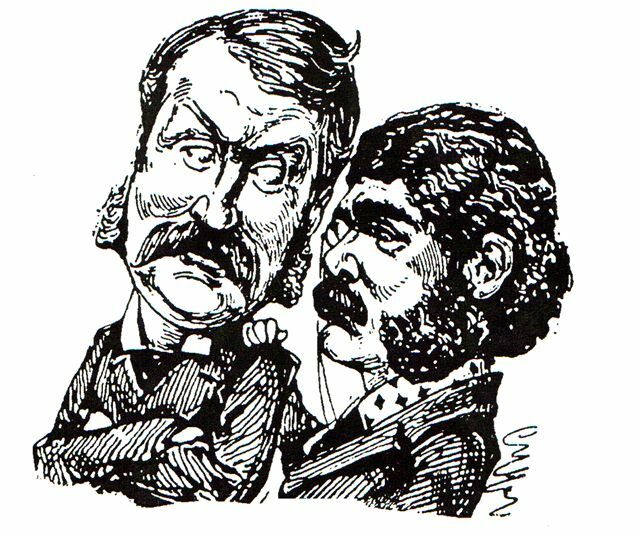 Bradley is actively engaged in bringing a diverse and accessible range of chamber music to new audiences. As a member of the BREW Guitar Duo and contemporary music septet dominantSEVEN, he has commissioned significant new works by Australian composers including Robert Davidson and Richard Charlton. As a soloist and chamber musician, his performances have included concerts at the Córdoba International Guitar Festival (Spain), the Project Canción Española (Spain), the Nikšić International Guitar Festival (Montenegro), the Canberra International Chamber Music Festival and the Darwin International Guitar Festival (Australia). In 2009, Bradley joined Australia’s leading guitar quartet, Guitar Trek, which has pioneered new repertoire for the guitar family for over two decades under the leadership of Tim Kain. Bradley also enjoys collaborative projects with clarinettist Nicole Canham and soprano Rebecca MacCallion. 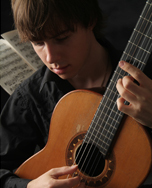 As a composer, Bradley has been featured in ABC Classic FM’s Young Australian Composers series celebrating “Australian Music Month.” His guitar works are regularly played on ABC Classic FM, and have been finalist entries in the 3rd International Australian Guitar Composition Competition, and the ASME Young Composers’ Awards. 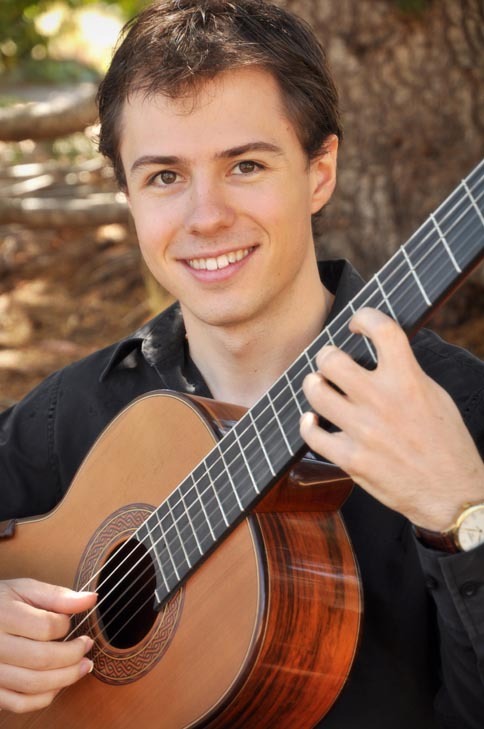 In 2011, Bradley won the Canberra Classical Guitar Society Composition Competition, which awards him a commission to compose a new work for guitar orchestra. In addition to writing guitar music, Bradley’s work for carillon will soon be published in an upcoming volume of Australian carillon music. Bradley’s choral works have also been performed by the choir of the Wesley Uniting Church in Forrest, Canberra. Bradley is on staff in the Guitar Department at the Australian National University School of Music, where he has also tutored and lectured in various undergraduate musicology subjects. XIII – ¿Quién más rendido? This entry was posted in Concerts & Events and tagged Bradley Kunda, Brew Guitar Duo, classical guitar on January 31, 2012 by allan. more about cursive;”>Show your loved ones that they mean something special to you. This entry was posted in Concerts & Events and tagged Clancy Music Productions, Music Train Trip, Valentine’s Day on January 27, 2012 by allan. This entry was posted in Concerts & Events, Cooma Harmony Chorus on January 3, 2012 by allan.